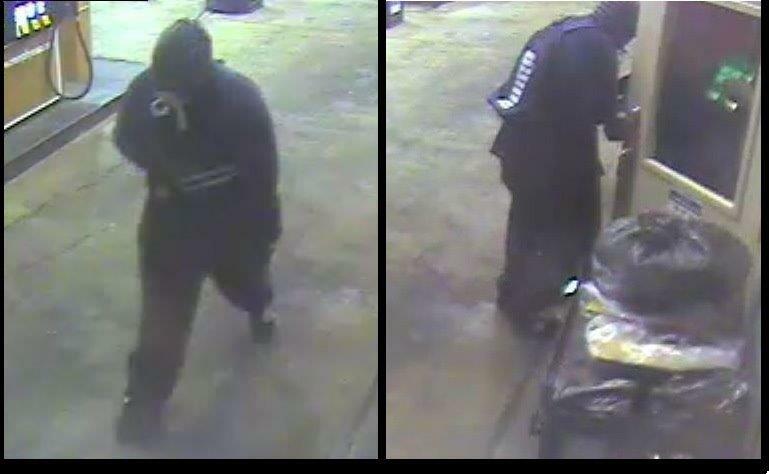 Bossier City police and Bossier Crime Stoppers are asking the public for help in identifying the suspect behind an armed robbery that happened earlier this week. The suspect was caught on security camera video while he held up the Murphy Oil USA gas station in the 2500 block of Airline Drive at about 11:30 p.m. Monday night. According to an employee the male suspect was armed with a handgun when he confronted her and demanded money. The suspect got away with an undisclosed amount of cash from the register and fled on foot. The employee was not injured. The suspect is described as a black male, between 18 and 25 years of age, about 6 feet tall, weighing approximately 250 pounds and was wearing a blue backpack with “Puma” on it. He also had on a dark colored hoodie with black and gray horizontal stripes on the hood and black sweat pants. Anyone who has information about this crime is asked to call Bossier Crime Stoppers at (318) 424-4100. They can also submit a tip online at bossiercrimestoppers.org. Persons who contact Bossier Crime Stoppers are reminded they may remain totally anonymous and could be eligible for a cash reward for information that leads to an arrest.